The unsolved homicide of Eva Morse. 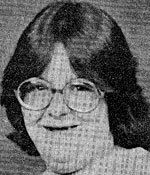 The body of Eva Morse, age 27, was discovered in West Unity, NH, on April 25, 1986. Morse was last seen on the morning of July 10, 1985 hitchhiking on Route 12 in North Charlestown, NH. The medical examiner determined that Morse had been stabbed to death.